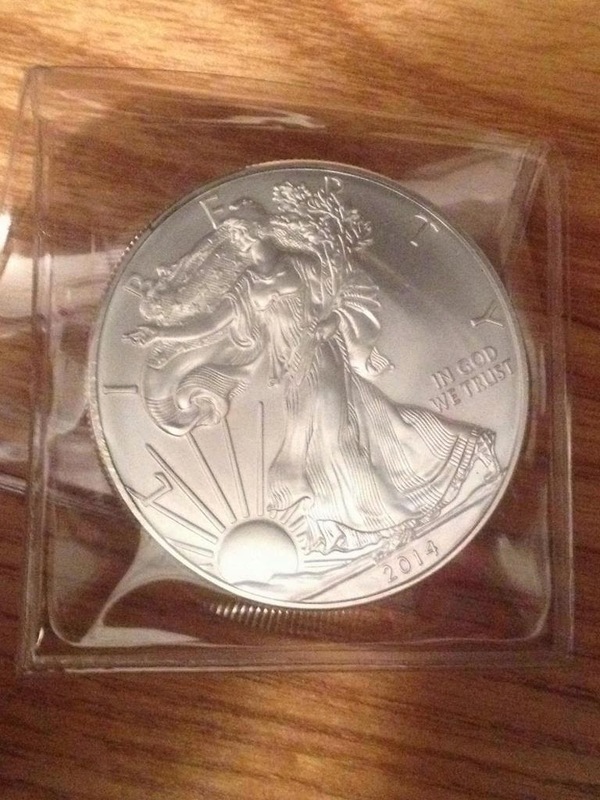 Yes, I'm giving away another 2014 Silver Eagle. The contest starts Monday, June 9th and will end on July 31st. Silver Eagles are made by the United States Mint and are one Troy ounce of .999 silver. Their value depends upon the spot price of silver, which is around $19.00 per ounce right now. This one is a little harder than the first giveaway. Sometime in June, one of my blog posts will casually mention the middle name of a certain numismatist. That's what you need to know to win! If nobody gets the answer, I'll draw a winner from those who answered incorrectly. Don't bother to go looking now - the post with that name hasn't been posted yet and may not be anytime soon - but it will be posted before the end of June and you have until the end of July to find it! And remember - this person was a numismatist. He was not just someone who had something to do with money like a bank president. That's an important clue! If I get more than than 200 entries, I'll double the first prize to two Silver Eagles AND award a second prize of one Silver Eagle. Also: be sure to tell your friends, because I'm not announcing this on Facebook, Twitter or anywhere else (doesn't mean you can't do so, of course). THERE WILL BE CLUES IN OTHER POSTS. These are important, because more than one middle name is mentioned! I see people have entered WITHOUT naming the numismatist - you are unlikely to be a winner that way unless nobody gets it! Hint as of today (June 14th) I have NOT published the article that contains the answer. Remember also that I will leave clues at other posts. The article that mentions the numismatist was posted during June and there will be hints throughout July.